Kevin Spenst is embarking on a cross-country tour: Small Books, Big Country: a Chapbook Tour of Canada. See his website for more details. 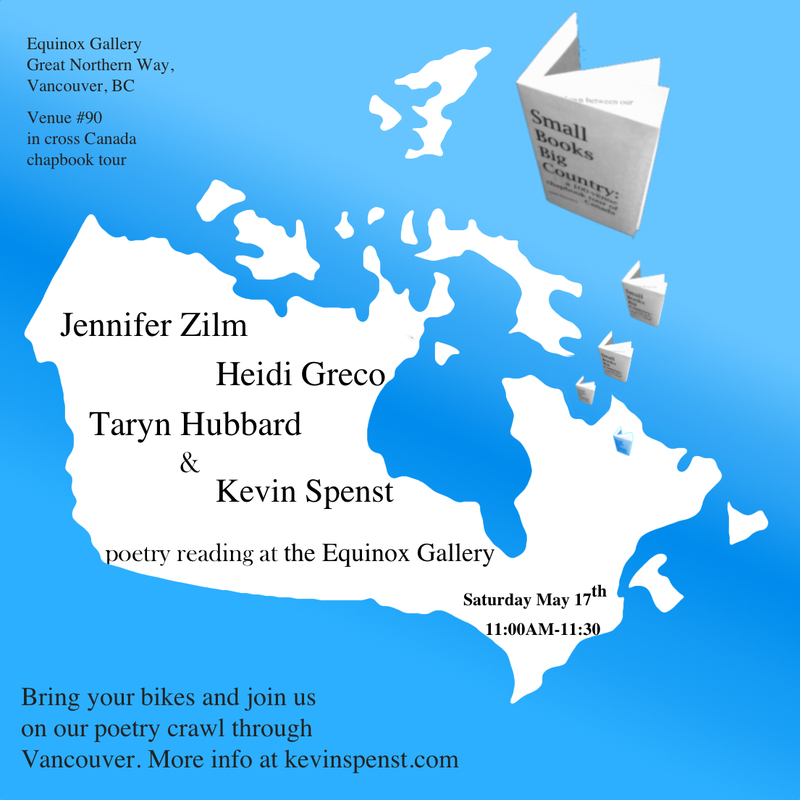 I will be reading with Kevin, Taryn Hubbard and Heidi Greco at Equinox Gallery on May 17 at 11-11:30am. This entry was posted in Poetry, Readings and tagged kevinspenst tarynhubbard. Bookmark the permalink.